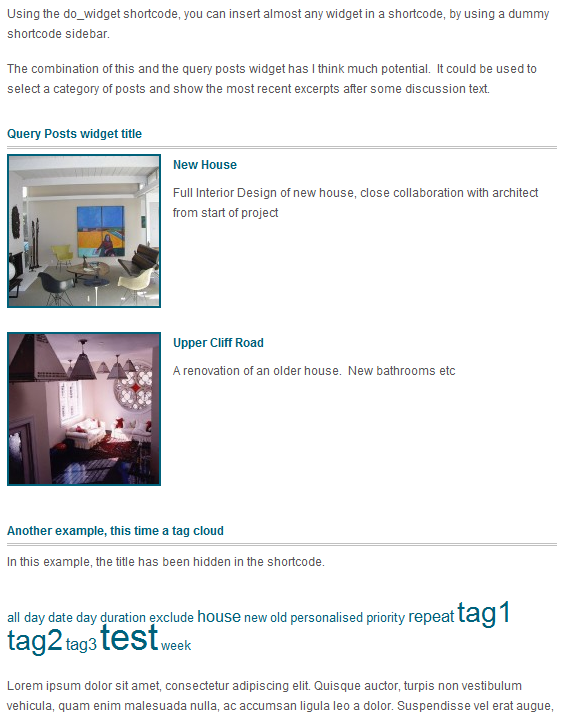 Available at wordpress now – This plugin allows you to use any widget as a shortcode in a page or post with any theme. While many plugin authors do provide a widget and a shortcode, not all do. With this plugin there is no need to use the hybrid theme or create a special page template just to use a widget in a page or post. Error: Your Requested widget "query posts " is not in the widget list. will allow you to have a selection of posts listed in your page. The plugin uses a dummy sidebar called “shortcode” which allows one to use the widgets user interface to specify the custom settings. The shortcode sidebar is a named widget sidebar only used to set up the widget settings. Warning: Themes with numbered (or totally unnamed sidebars) do not work well this. Somehow since the plugin is creating the shortcode sidebar rather than a theme (and plugins seem to run befor the theme code), wordpress allocates it the number one slot. Named sidebars are okay, but others relying on being no.1 or the one and only are pushed out. Fixed in version 1.12. I’d love to hear other ways that people might decide to use this plugin. 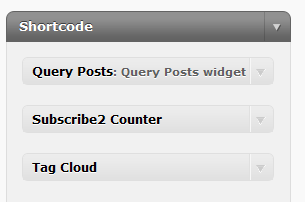 The Shortcode Sidebar - Add the widgets that you wish to use as shortcodes. Previous PostPrevious Stop obfuscating your email addresses!